Go where no reverb has gone before. 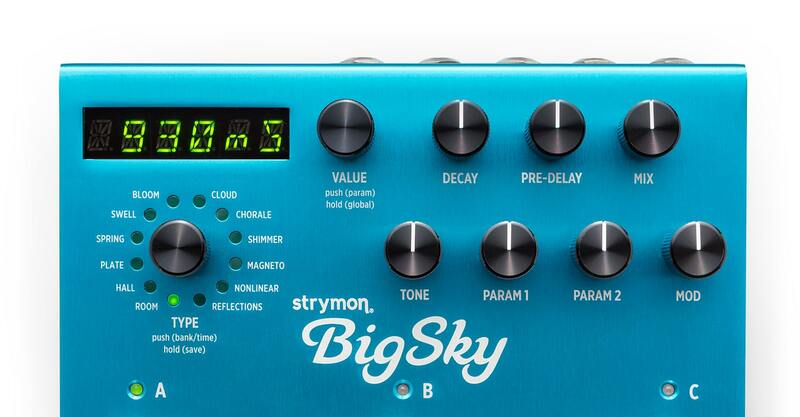 BigSky gives you twelve studio-class, musically inspirational reverb machines. Diffused reflections and slower-building density are the hallmarks of this beautiful and versatile reverb. The Concert size is well-balanced, spacious and warm, while the Arena size is huge, enveloping and booming.